The Riddle Company is a Washington-based economic development consulting practice. Our work combines innovative positioning and investment strategies to create sustainable solutions for communities and companies. Our clients include municipalities, economic development organizations, downtown development organizations, private and institutional investors and developers, and small businesses across North America. The Riddle Company works with communities and corporations to identify and understand the full range of strengths and weaknesses, define target markets, recognize potential new opportunities and map detailed courses of action and the processes that guide them. We develop thoughtful strategies based on facts. We collect and analyze market data and industry intelligence, we audit the media and marketplace, and undertake proprietary market and client research. Our researchers are at the forefront of retail, market and economic analysis. The result? The Riddle Company clients enjoy documented success, meeting and exceeding measured goals established for economic growth, market position and media impact. Catherine Timko is a nationally renowned urban strategist with particular expertise on emerging markets and retail. With a degree in urban studies. Catherine has more than 25 years of experience in economic and real estate development. More than just promises of success, Catherine delivers demonstrated success in positioning companies, communities and local economies to effectively compete. Her work is transformative, influencing the restructuring of corporate and community economies, consumer and market perception and resulting in significant new investment. Drawing on her experience in the field with projects in South Beach and Washington, DC, Catherine has been instrumental in the development of critical financing and marketing tools to support retail and real estate development, retail and business attraction, and even local investment ratings. Many are now industry accepted best practices. Her recent work on the Center City Philadelphia retail campaign, Be In On It, has achieved national recognition and resulted in new retail investment and enhance marketplace awareness. Catherine has completed over 100 projects and studies with companies, communities and economies of all sizes and strengths from companies such as Madison Retail Group and Equity Residential to Hollywood, FL and Dallas, TX and Newark, NJ. Her earned media for client communities and investors is valued at more than $75 million to date. She is widely published in the area of real estate and economic development and a frequent presenter on best practices in economic development marketing. Catherine is the former Dean for Economic Development for ICSC University of Shopping Centers and is active in many key, industry organizations including APA, DCBIA, IDA, IEDC, ICSC, and ULI. Riddle is an old family name. My family heirs from the Riddle Glenn in Glasgow Scotland. When it came time to naming my practice, my mother suggested Riddle, her middle name. As child number three, I was happy to set my own course (Riddle was easier than changing my name). 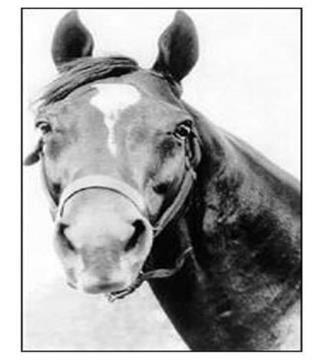 The name also shares some fun history, my mother's uncle owned Man o' War, who spent many years at Glenn Riddle Farm in Maryland.